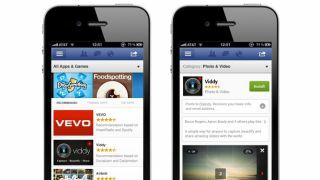 Should businesses bother with Facebook advertising? Is advertising on Facebook effective? Will an advert on Facebook bring success? The Facebook floatation today is set to make founder Mark Zuckerberg one of the wealthiest men on the planet, and give Facebook a war chest big enough to enable Facebook to buy any company they want. However a survey by Greenlight shows that Facebook may have some work to do in persuading advertisers that the site is a credible alternative to other forms of internet advertising. A global survey undertaken by digital marketing agency, Greenlight, reveals 30% of people 'strongly distrust' Facebook with their personal data whilst 44% say they would 'never' click on Facebook sponsored ads, all of which indicates Facebook's advertising programme has an upward struggle. Facebook is ranked as the third most popular website (after Google and YouTube) when asked 'How regularly do you use the following websites/services?'. It ranked second when asked 'Which of the following do you use on your mobile phone? ', with roughly 30% of those surveyed saying they use Facebook on their mobiles and tablets. "Facebook's popularity doesn't come as a surprise. However, with over 30% of respondents saying they 'strongly distrust' Facebook with their personal data, Facebook's advertising programme has an upward struggle," says Hannah Kimuyu, director of paid media at Greenlight. "Facebook's advertising programme allows brands to connect with more than 900 million potential customers, through targeting their age, gender, location and interests, in other words - personal data." Should brands bother with Facebook advertising? Asked 'Do you click on advertisements or sponsored listings in Facebook', just 3% of respondents answered with regularly and 10% often. The alarming response was the 44% that answered never. "For Greenlight and many other agencies and brands, advertising on Facebook has become part of the 'usual mix', says Kimuyu. We specifically saw our Facebook investment (client media spend) overtake both Yahoo and Bing collectively at the start of 2011, hinting the channel has constant growth and is delivering a strong enough return to invest more." Kimuyu points out that similarly to Google's Display Network (GDN), Facebook has spent the last 12 months developing its advertising programme, slowly moving from offering just branded advertising (Fan Acquisitions) to becoming a serious direct acquisition channel. "Many of the developments are appealing to retail brands, especially with retail being the most active in the space. Most recently we have seen one high street retailer achieve a 15% higher average basket value and a 20% increase in conversion rates on Facebook, when compared to its Search activity." Still, at over 900 million users worldwide and with potentially hundreds of millions more in China the makes the 56% who are willing to click on an advert a very large community. However the real key to advertising on any medium is effectiveness, and Facebook may also face problems in proving effectiveness, especially with the news from the Wall Street Journal that General Motors is reportedly pulling all of its $10m- worth of ads from the social network saying that paid ads are 'ineffective' on the platform.